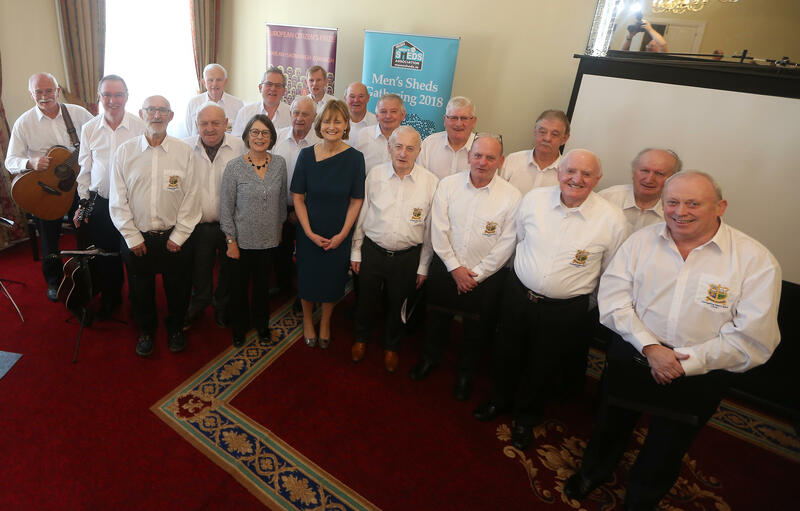 Deirdre Clune, MEP, with Carrigaline Men’s Shed Choir, and conductor Liz Scott Hall, at an award ceremony, to celebrate Men’s Sheds winning the European Citizens Award 2018 prize. 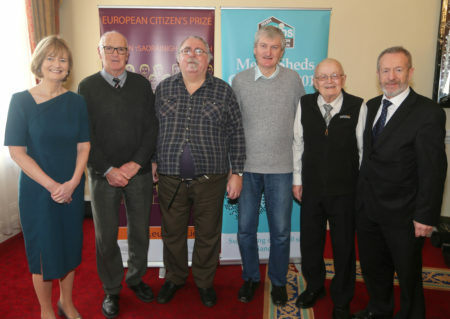 The European Citizens Awards celebrate projects and initiatives that facilitate cross-border cooperation or promote mutual understanding and EU values. 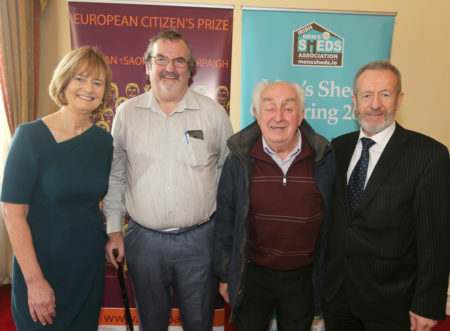 Frank McNamara, Secretary Irish Men’s Sheds, Patrick Cummins. 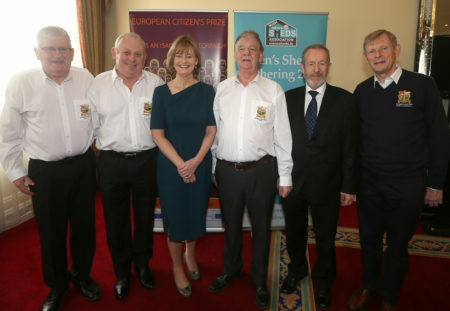 Board Member Irish Men’s Sheds, Deirdre Clune, MEP, Sean Kelly, MEP, Barry Sheridan, CEO, Irish Men’s Sheds, Alan Tobin, Board Member Irish Men’s Sheds, and Eoin Martyn, Chairman,Irish Men’s Sheds, at an award ceremony to celebrate Men’s Sheds winning the European Citizens Award 2018 prize. The European Citizens Awards celebrate projects and initiatives that facilitate cross-border cooperation or promote mutual understanding and EU values. Youghal Men’s Shed; Kevin Kelly, Jim Daly, Redmond Nugent and Maurice Swayne with Deirdre Clune, MEP, and Sean Kelly, MEP, at an award ceremony to celebrate Men’s Sheds winning the European Citizens Award 2018 prize. The European Citizens Awards celebrate projects and initiatives that facilitate cross-border cooperation or promote mutual understanding and EU values. Carrigaline Men’s Shed; Pat Jones, Martin Rafferty, George Mullair and Rodger Morrissey with Deirdre Clune, MEP, and Sean Kelly, MEP, at an award ceremony to celebrate Men’s Sheds winning the European Citizens Award 2018 prize. 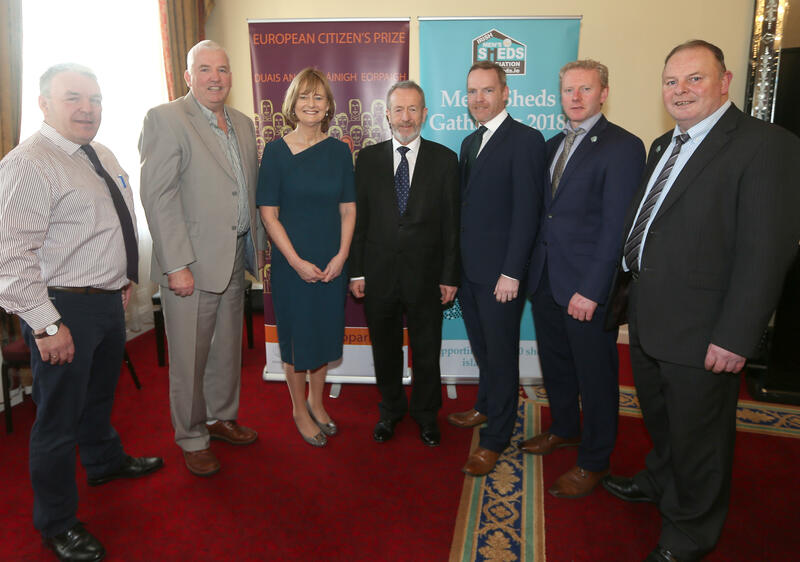 The European Citizens Awards celebrate projects and initiatives that facilitate cross-border cooperation or promote mutual understanding and EU values. Mallow Men’s Shed; Mike Bourke and Denis O’Connor with Deirdre Clune, MEP, and Sean Kelly, MEP, at an award ceremony to celebrate Men’s Sheds winning the European Citizens Award 2018 prize. The European Citizens Awards celebrate projects and initiatives that facilitate cross-border cooperation or promote mutual understanding and EU values.